I hate to ring in the spring without Jen but time has been marching on. While temperatures are in the 30s tonight I feel the season must be celebrated. Not because I care about any season in particular, per se, but mostly because I like to welcome in new produce (and beer) with any season. I chopped up some vegetables in the fridge (garlic, onion, carrot, fennel, tomato, green beans) and cooked them down in a little butter and olive oil, seasoning them with salt and pepper. When they'd softened slightly I added in some cannellini beans with salt and pepper. I also boiled some baby potatoes and threw it all together with a little parsley leaving the vegetables with just a little bite left in them. Over the top I served a beautiful piece of pan-seared rockfish. It was a lovely spring meal. Jen doesn't know what she's missing as she frolics across the United States. 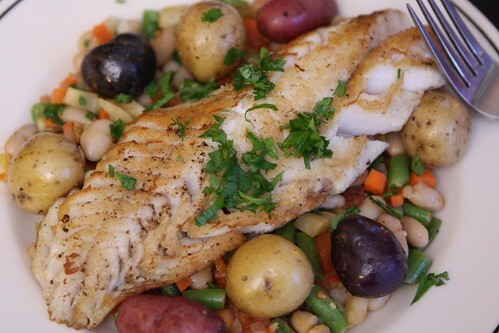 Rockfish is just incredible. It's easily one of my top 25 favorite fish of all time. 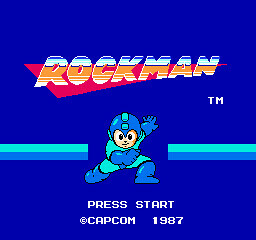 There are many reasons for this . . .
. . . but mostly because I imagine it's the fish that Rockman eats! 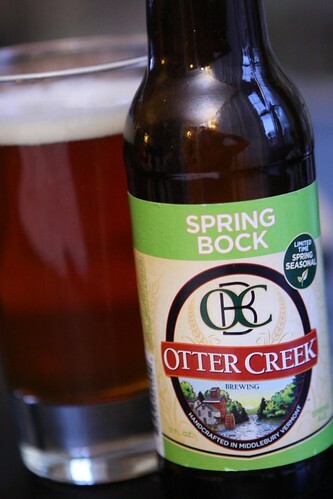 For beer I opened this Spring Bock from Otter Creek Brewing in Vermont. This kept with the course of the meal in tasting extremely fresh. As it's just been released I suppose it's not terribly surprising. It was lighter than I'd expected and just perfect for this meal. Like is often the case when I make a wonderful beer pairing this was entirely accidental. For dessert I made a caramel sauce using the remaining Backburner Barleywine from Southern Tier along with a little brown sugar and butter. 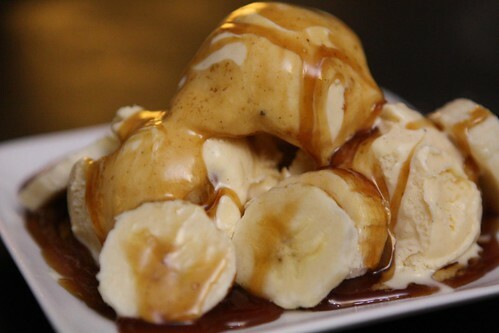 I poured the sauce over some vanilla ice cream and bananas. I'm not sure why I had this idea, other than not wanting to throw away any barleywine, but this was a smashing success. 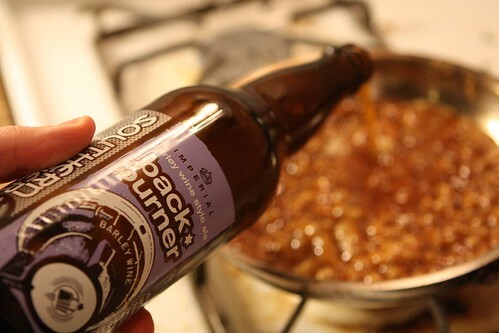 Barleywine is the perfect alcohol to add to a caramel sauce. Write that down, son! Take note and recognize! Barleywine and bananas, baby. Barleywine and bananas.